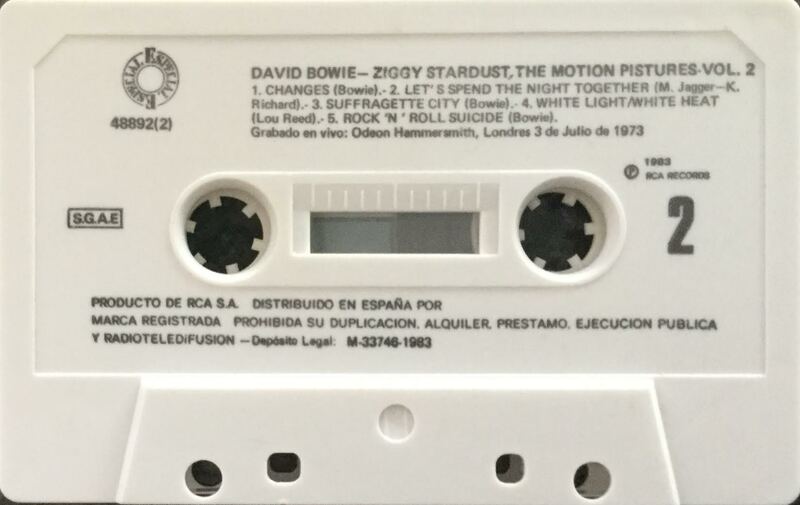 Ziggy Stardust – The Motion Picture: Spain; RCA, 48892(2); 1983. Full size picture front cover with yellow spine and rear panel, white inner fold out panel. The rear is blank. Track list on fold out inner panels and rear panels. 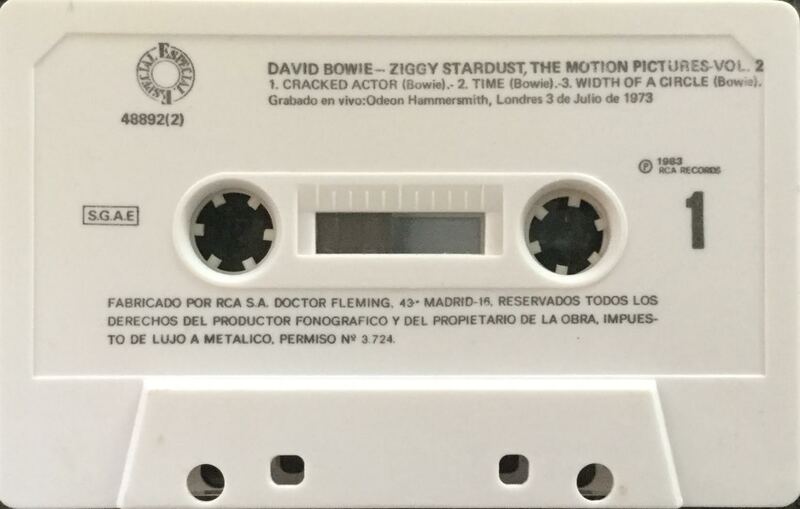 Black ink printed directly onto white shell. 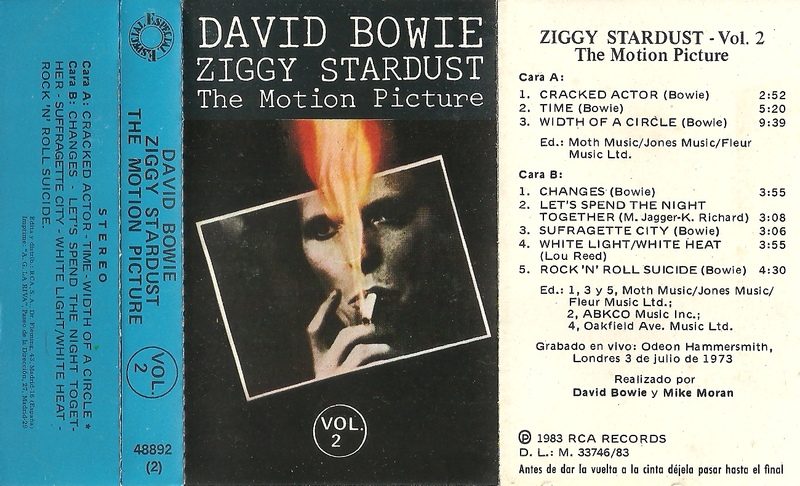 Titles in English and information in Spanish. SGAE on shell. 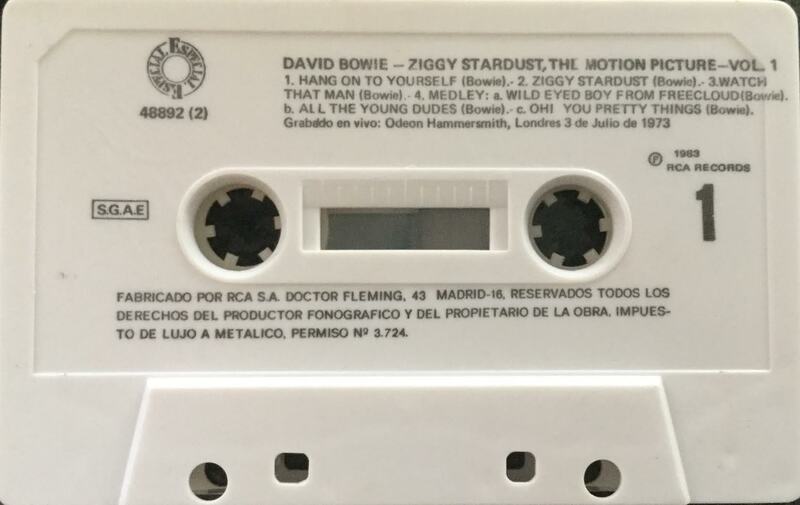 Side 2: Moonage Daydream; Space Oddity; My Death. 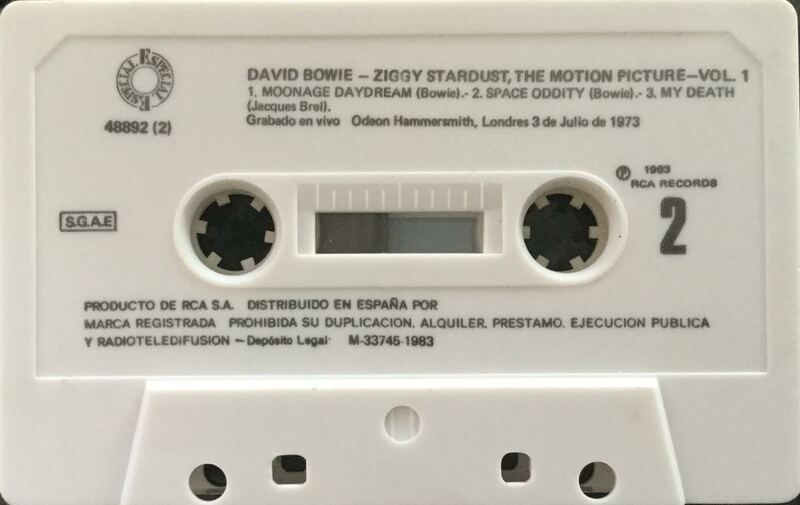 Ziggy Stardust – The Motion Picture: Spain; RCA, PK-84862; 1983. Full size picture front cover with blue spine and rear panel, white inner fold out panel. The rear is blank. Track list on fold out inner panels and rear panels. 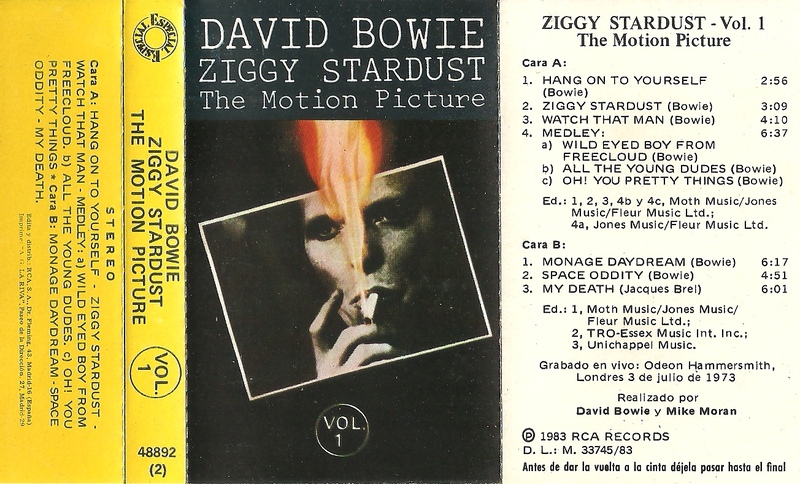 Side 2: Changes; Let’s Spend The Night Together; Suffragette City; White Light/ White Heat; Rock ‘N’ Roll Suicide.